Finkelstein, Maxwell W.. "Gros Morne National Park". The Canadian Encyclopedia, 16 October 2018, Historica Canada. 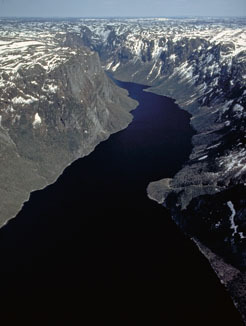 https://www.thecanadianencyclopedia.ca/en/article/gros-morne-national-park. Accessed 22 April 2019. 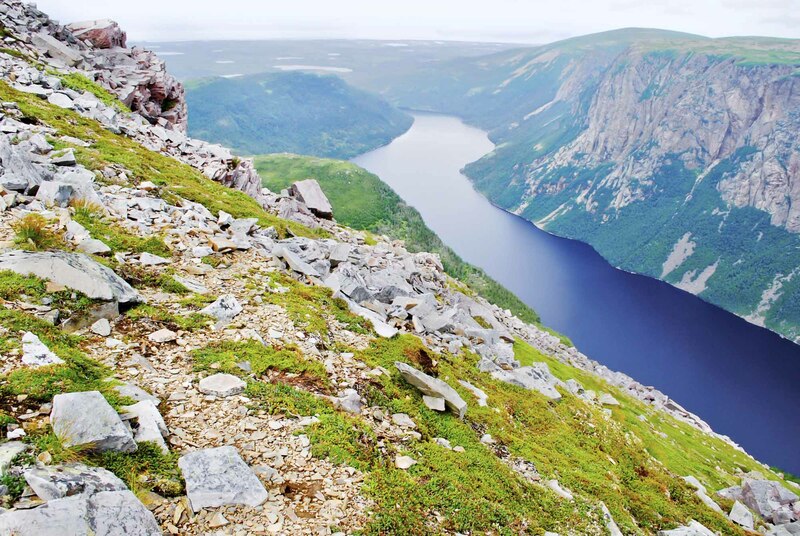 The spectacular scenery at Gros Morne includes sharp ridges and huge cliffs, coastal bogs and highland tundra, dramatic ocean inlets and lakes (photo by Ian K. MacNeil, courtesy Parks Canada). 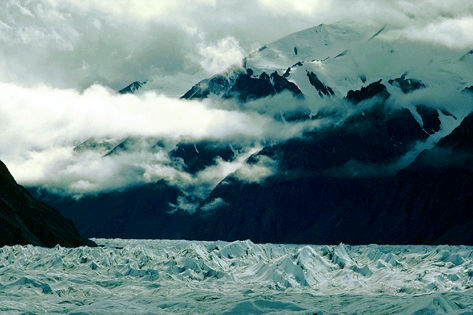 This spectacular landscape was created by the grinding action of glaciers on the ancient Long Range Mountains. 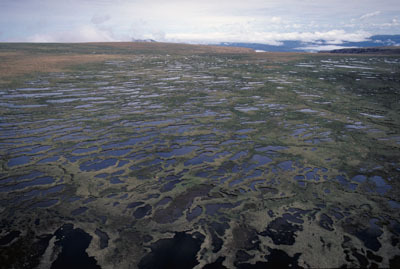 Barren rocky ridges and tundralike slopes contrast with forested foothills and boggy coastal plains, where mosses and pitcher plants thrive. 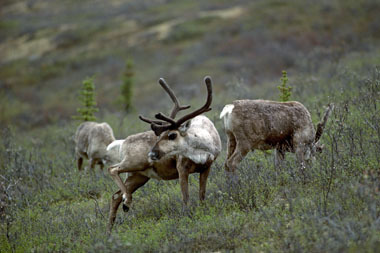 The presence of caribou and arctic hare reflect the northern character of the park. Marten inhabit dense forest areas, while moose and snowshoe hare, although not native, are frequently observed. Terns and gulls abound along the coast; ptarmigan typify the bird life of the heathlands and barrens. Pre-European culture in the area dates from 2500 BC, when the Maritime Archaic peoples inhabited the area. Dorset and Beothuk cultures followed. European contact was established with the arrival of Jacques Cartier in the adjacent Gulf of St Lawrence (1534); however, European settlement did not occur until the late 1800s. The park has facilities for tent and recreational-vehicle camping and for primitive winter camping. 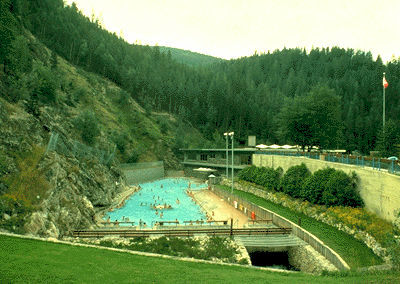 In summer, hiking, fishing and cool saltwater swims are popular. Visitors in winter can cross-country ski, snowshoe and snowmobile.